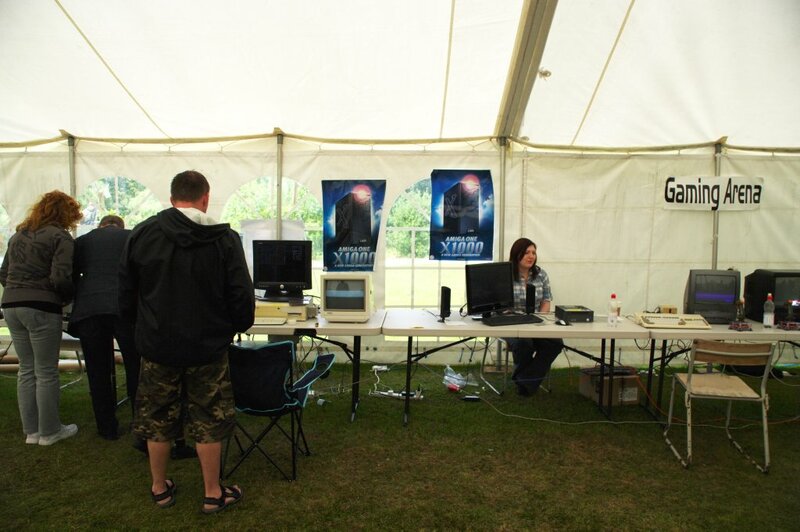 2: The ticket sales booth at the entrance. For 10 pounds you got a season pass — not too bad even though we probably won't make it back there again during this season. 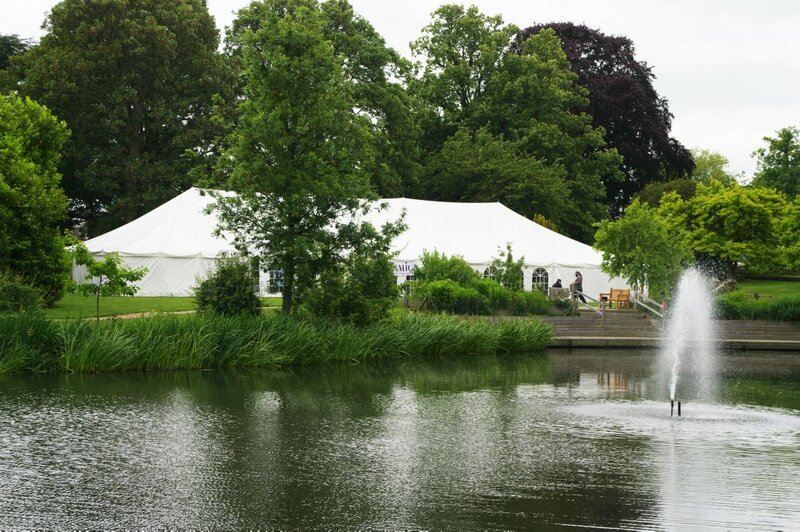 3: Beyond the pond, this white marquee was the main attraction for me, at least for this visit. 4: Yes, this is where the fun is. 5: One of the two new machines, the Sam460ex from ACube. Max Tretene and Enrico Vidale represented the company. The new Sam was a delight to use, running the latest OS 4.1 update 2 at 1 GHz it gave a very smooth and responsive performance. If I weren't going for the X1000, I'd seriously consider buying one of these to replace — or maybe rather complement — my 440ep. 6: At the other end of the table was the X1000. This board was just for display; as Trevor, the owner, stated, it didn't work, so they let him have it. 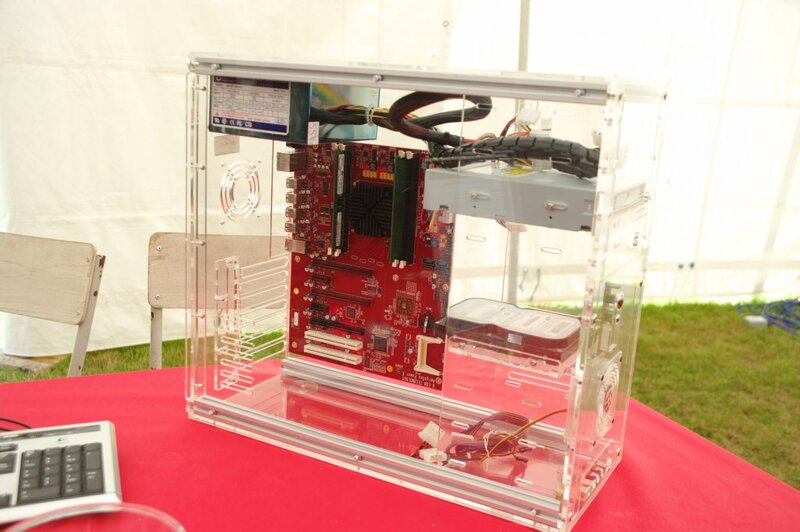 But in the nice transparent case, it presented a good opportunity to look more closely at the board and components. 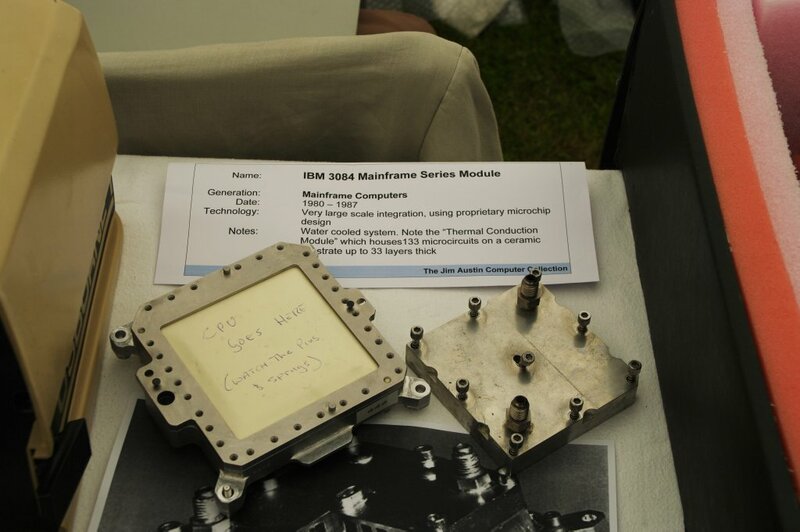 The main CPU was still not visible, though; a big heatsink was hiding it, so its identity is still a secret. 7: Next to the display box, another X1000 was being tinkered with by the Frieden brothers (Hans-Jörg and Thomas). Apparently it had booted AmigaOS 4.1 from hard drive (as opposed to over the network, where fewer drivers etc. need to be working) for the first time a few days earlier, and there were still some things to iron out, plus that not all the hardware drivers (e.g. 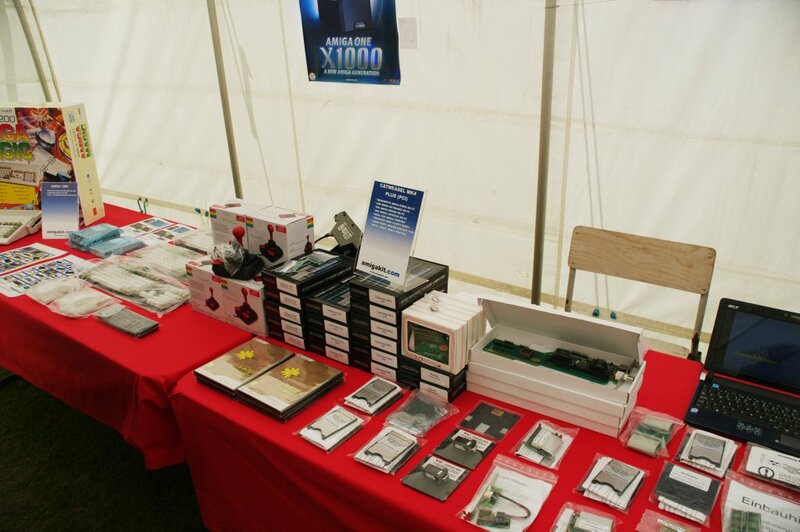 SATA) had made it to the show from their developers. 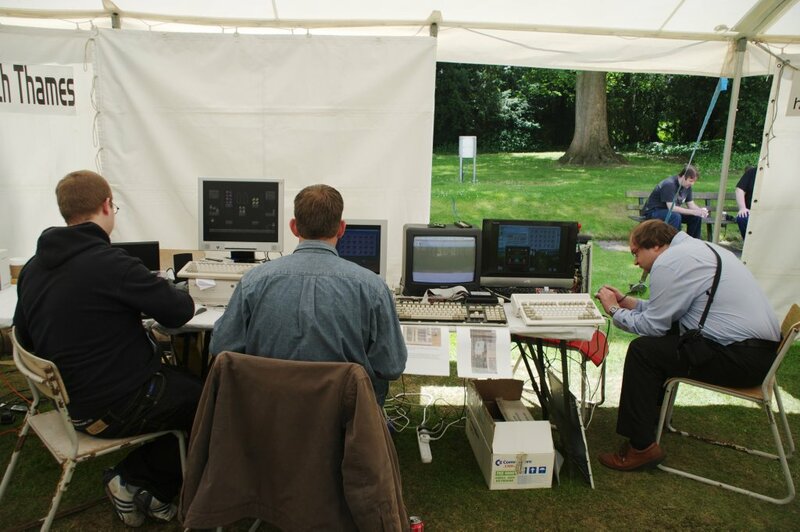 Some applications, among them Timberwolf, also had problems running on this very early setup. But it was running OWB very nicely and generally performed okay in spite of having a lot of debugcode still left in, slowing it down. It will be interesting (understatement of the year!) to see it again when the beta boards are ready. 8: Hans-Jörg taking a turn at the keyboard of the X1000, while Thomas takes a break behind the table. 9: The X1000 had one of AmigaKit's nice AmigaOne keyboards with little Boing Balls on the Amiga (formerly Windows) keys. 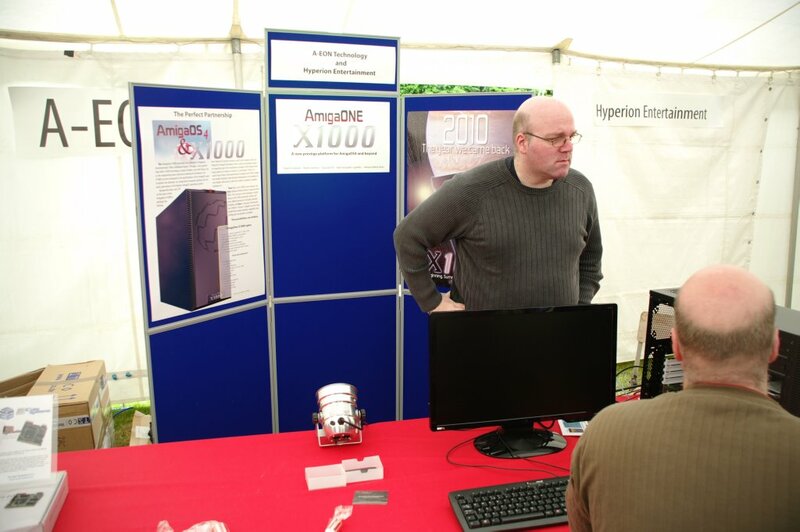 10: Trevor Dickinson, one of the partners of A-Eon, with his nice Boing tie. 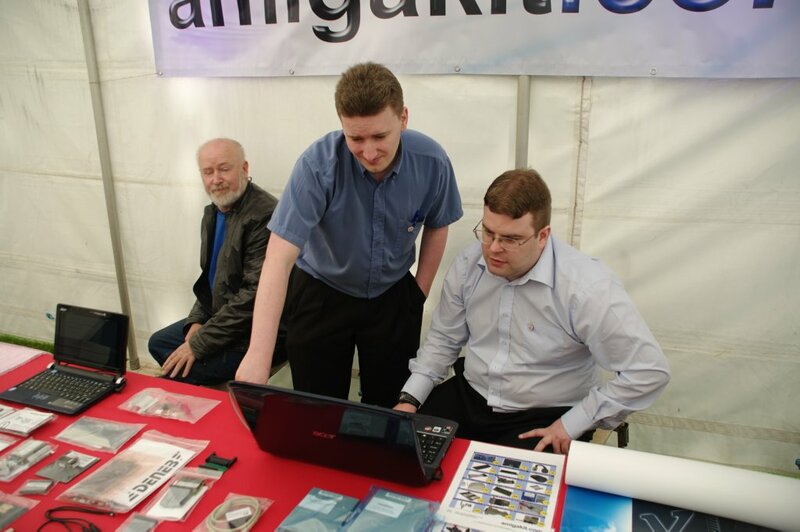 11: AmigaKit were also present with a stand as usual. 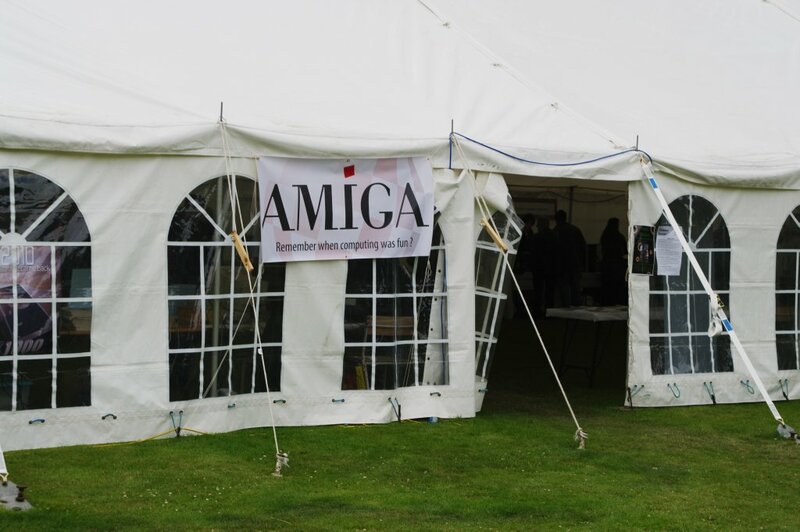 They had the new Amiga Forever Premium 2010 for sale, just in from Cloanto. 12: And lots of other goodies. 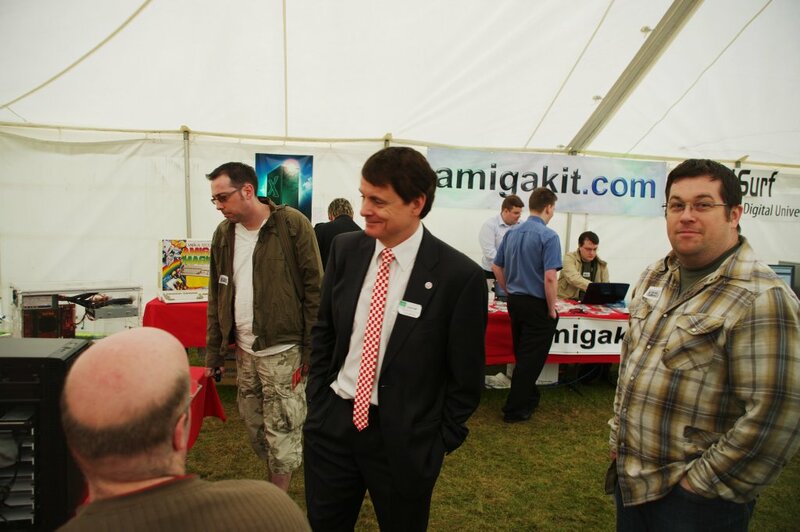 13: Matthew Leaman, the proprietor of AmigaKit, in the middle. 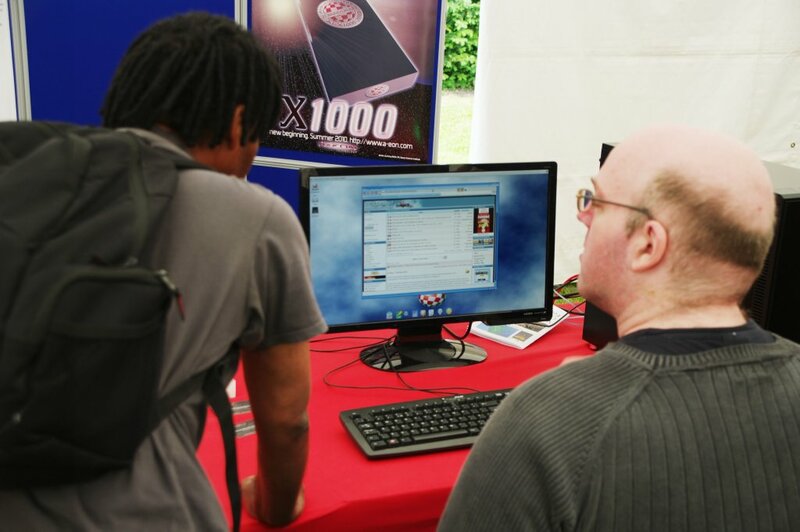 14: Chris Young was showing his latest development version of the NetSurf browser. 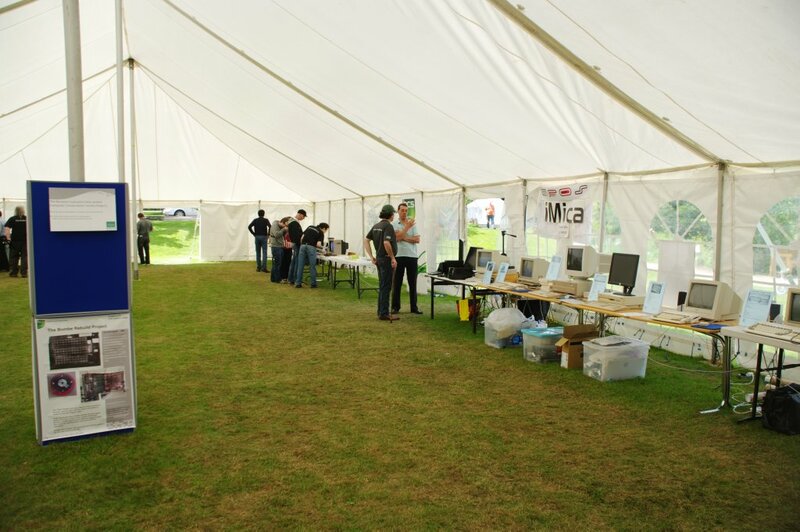 Although the network facilities at the show were not up to scratch, performancewise, it did make a very nice impression. 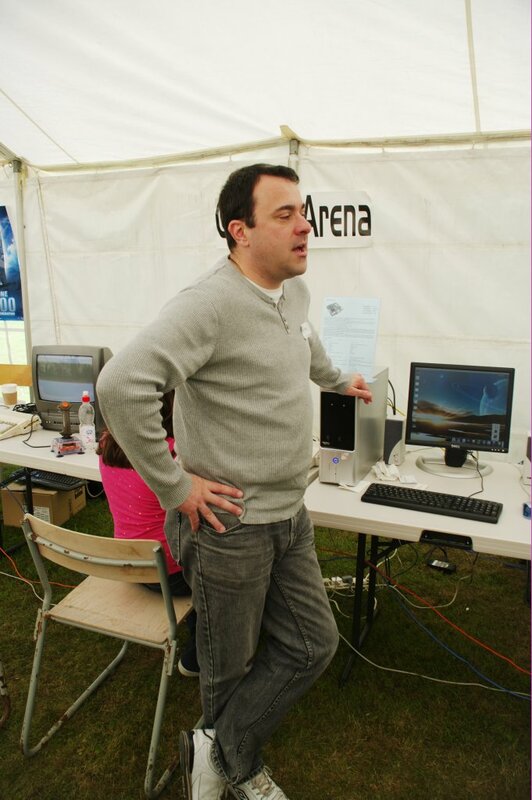 15: Rigo aka Simon Archer had brought his development environment, Codebench, in the full, commercial version. 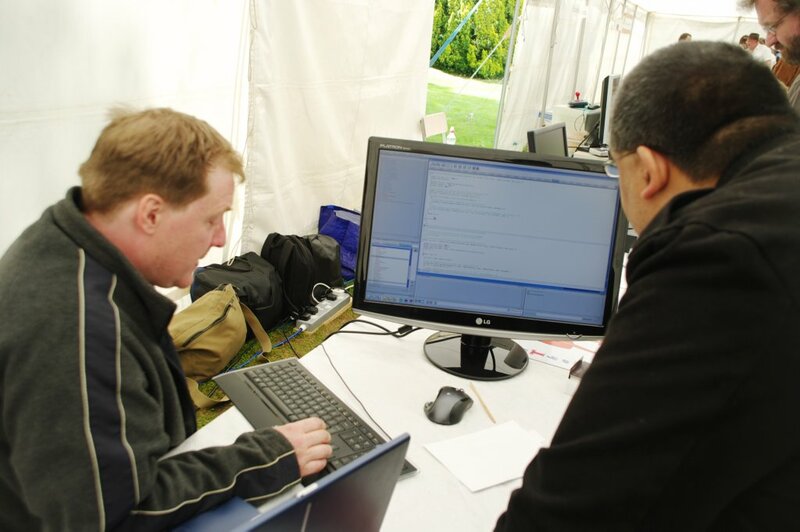 This version will have full support for several programming languages as well as various nice integrated development tools. An autodoc viewer was one of the tools already present; it is not yet decided whether this will come with the free, basic version or only the commercial one. Likewise, the release date of the commercial version is yet undecided. It is an impresssive tool which will definitely help getting me back to developing for the Amiga, once it is ready. I have already used the free version for a few minor projects and enjoyed it, but I can see that many more useful facilities are in the making. 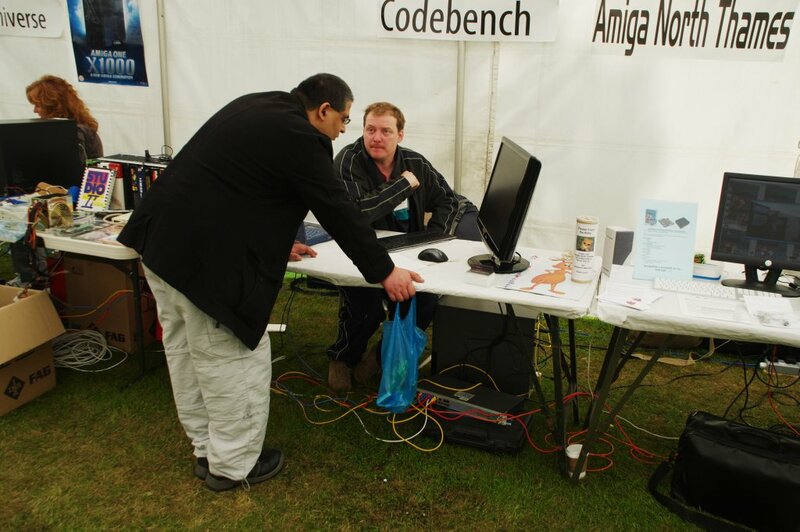 16: There was a healthy interest in getting a demonstration of Codebench's capabilities, and Rigo had a busy time at the keyboard. 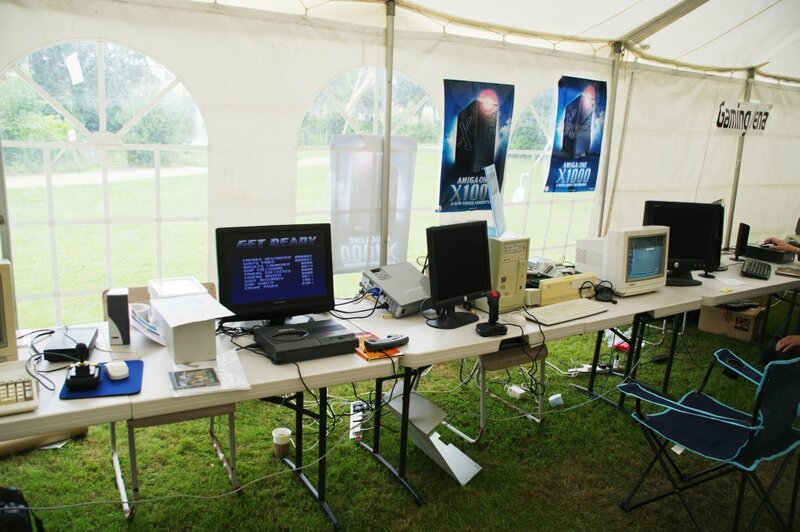 17: Next to Rigo, Zetr0 and some friends had set up a table with some classic Amigas for people to play on. 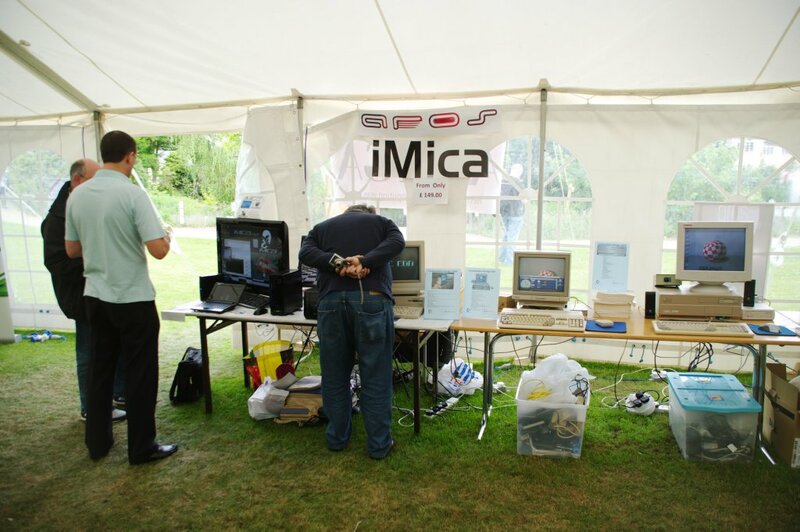 18: Across the floor (well, lawn), the iMica was shown. 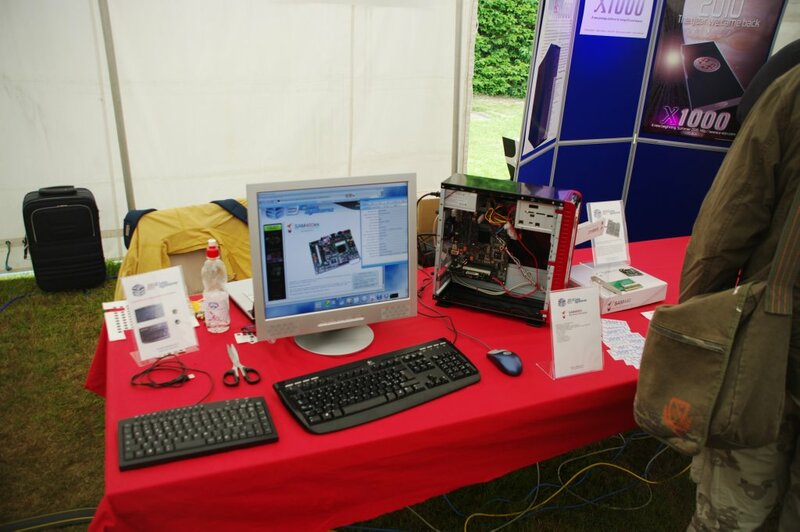 This is a small system based on an Intel Atom processor and running Aros, a freely distributable remake of AmigaOS 3.1. 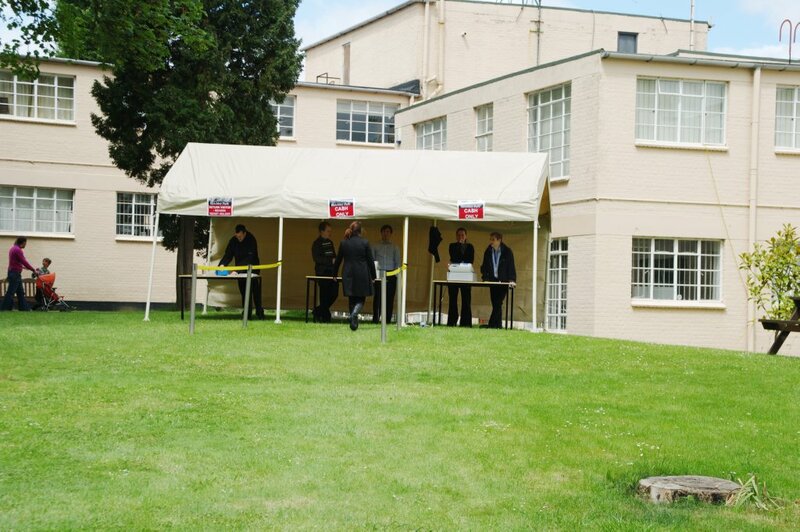 I must admit I didn't get around to checking it out more closely, but there were lots of people at the stand throughout the day. If you'd like to know more than I can tell about it, check out what Simone Bernacchia has to say in his BinaryDoodles blog. 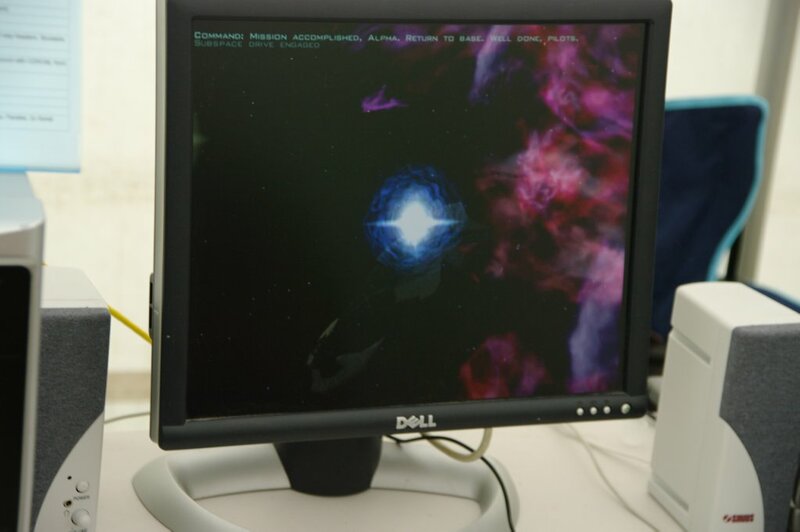 19: The original Boing ball demo running behind a pulled-down WB 1.x on an A500 — next to the modern version of the boing ball, in this case as a WB backdrop on an OS 3.9 A2000. And most of the other classic models lined up next to them. 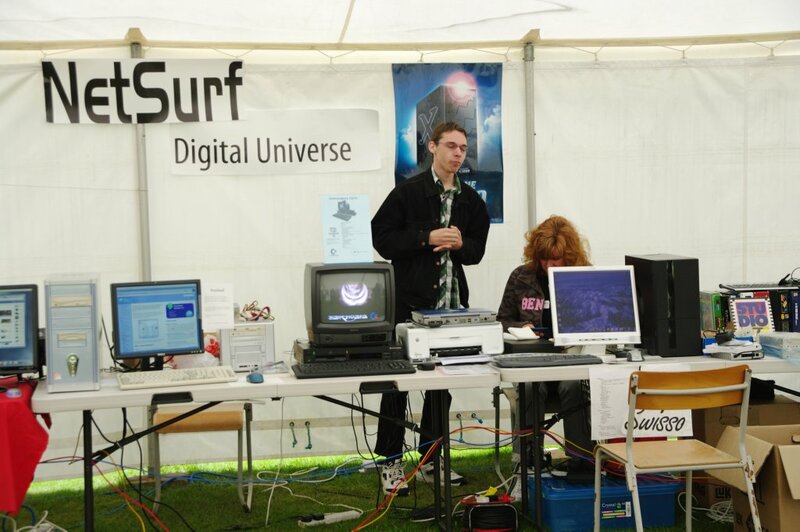 20: The line-up was completed by a CD32 and an A4000. 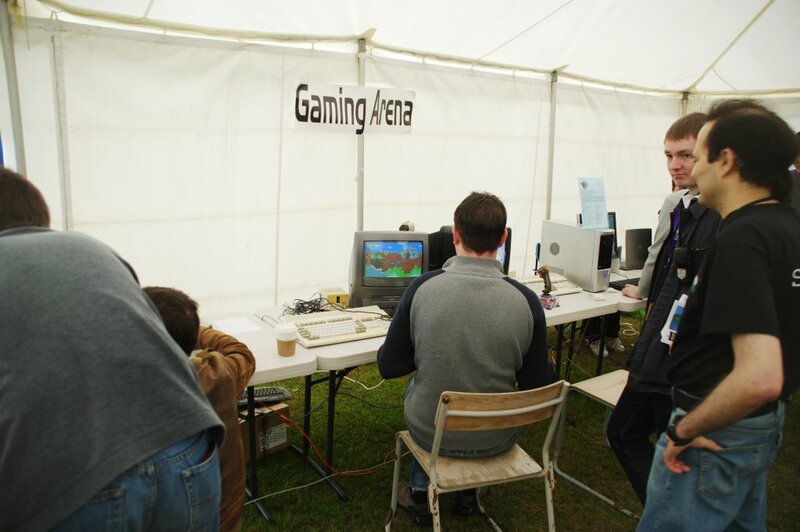 21: Further on up the side, a section was laid out as a gaming arena. 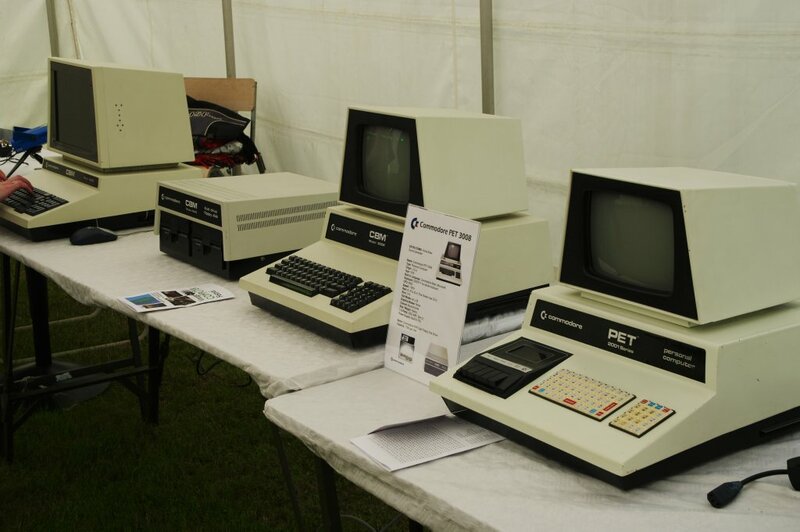 Yet more classic machines, as well as some NG Amigas, were available for use. 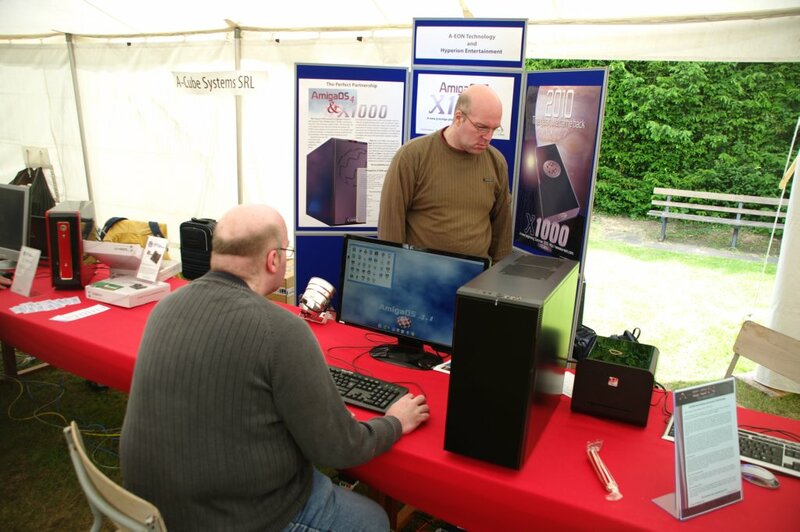 22: A nice cartoon-style adventure on a plain old A1200 can still attract some interest. 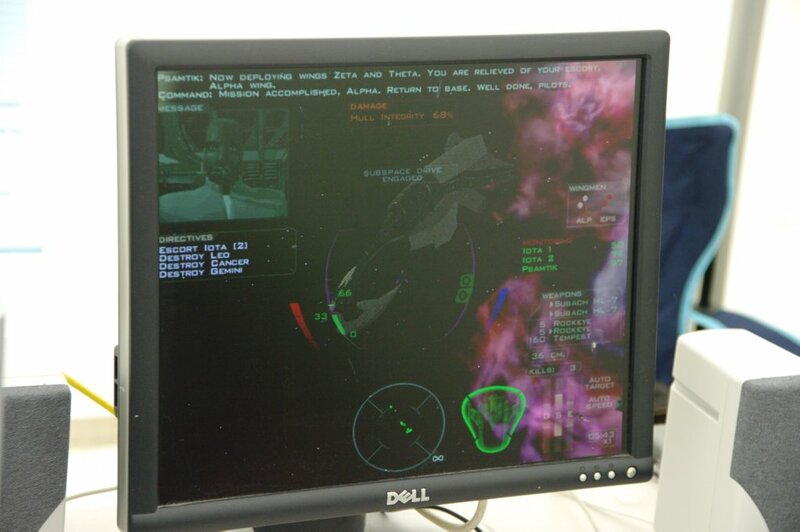 23: There was also a chance to check out AFXGroup's brand new port of Freespace 2. 24: Looks very nice indeed; games like Freespace are among the few I actually find a bit interesting to play (sorry, I'm really not much of a games person). 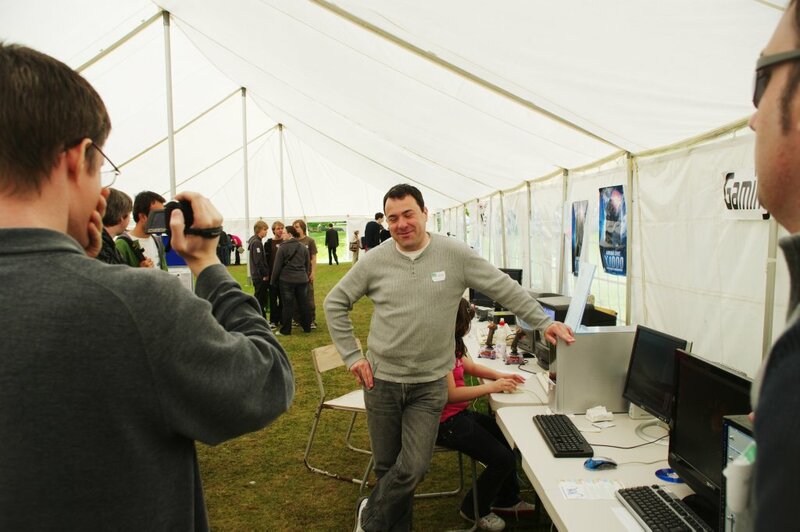 25: MikeyC was being interviewed on camera, trying to find the words to explain why we enjoy all things Amiga so much. 26: Then again, this happy face says it all, doesn't it? 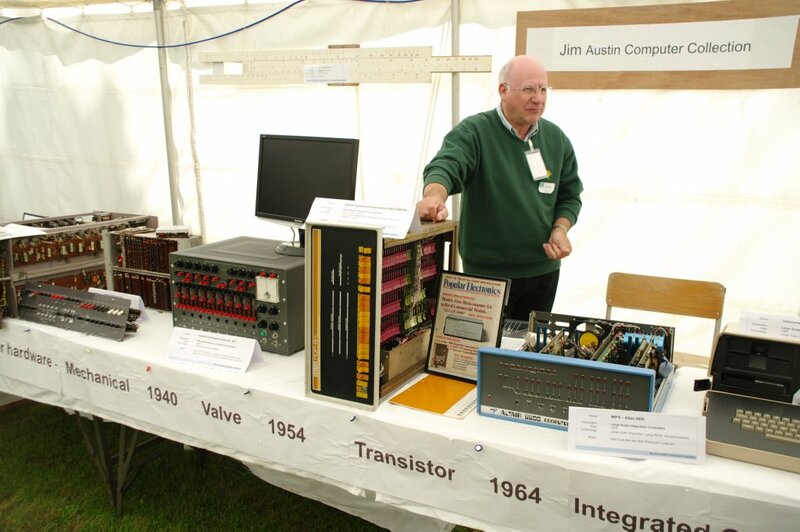 27: At the other end of the marquee, Jim Austin had some of his amazing antique hardware on display. 28: Among the items shown were a teletype machine (to the youngsters, this is a sort of typewriter communicating over a telephone line. What's a typewriter? Oh, never mind ... go google it!) 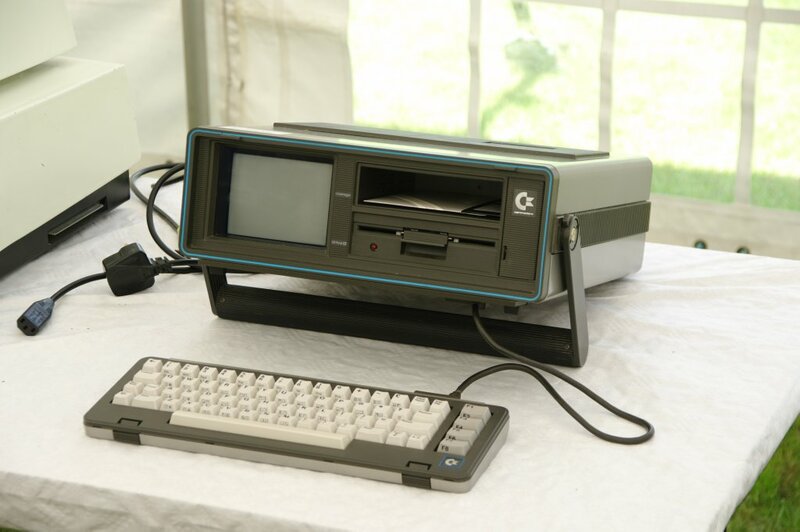 and the world's first portable (hmm) computer, the Osborne. 29: This was where I really felt my age. The 3084 was one of the first mainframes I used back when I started working on IT projects — before the term IT had even begun to be used! 30: And this took me even further back. 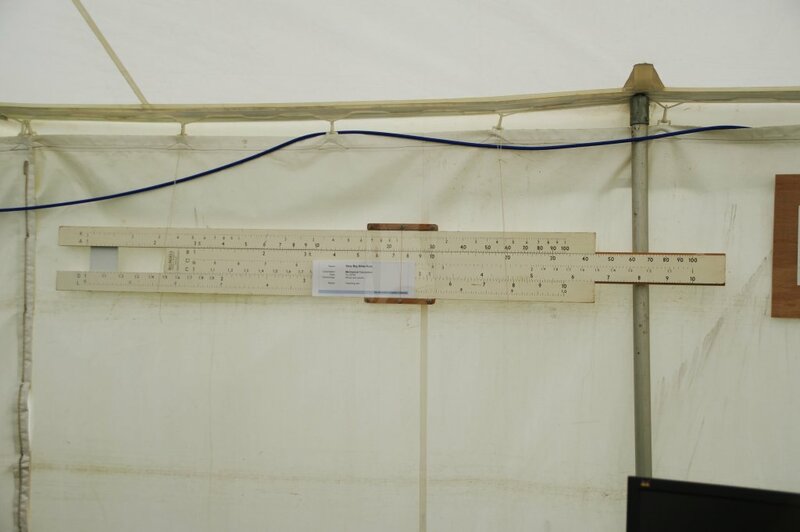 We used slide rules in math classes in school (around 7th grade, 1965), and there was one just like this one in the classroom. 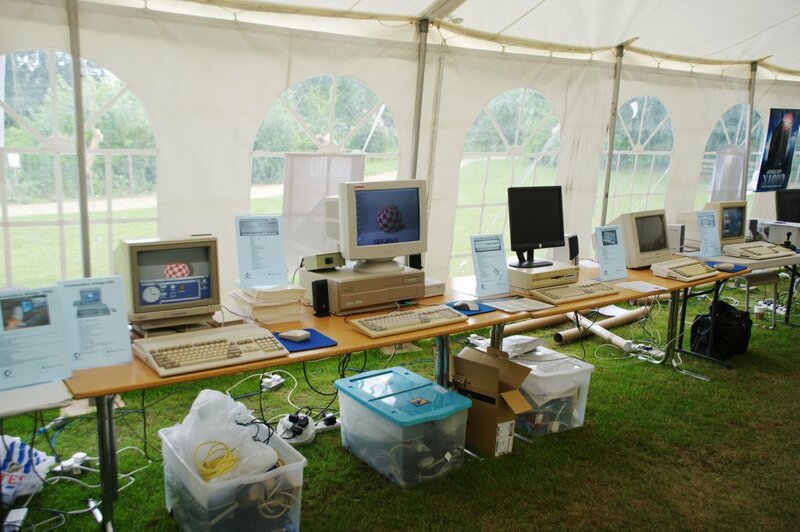 31: Some of the pre-Amiga machines were also presented. 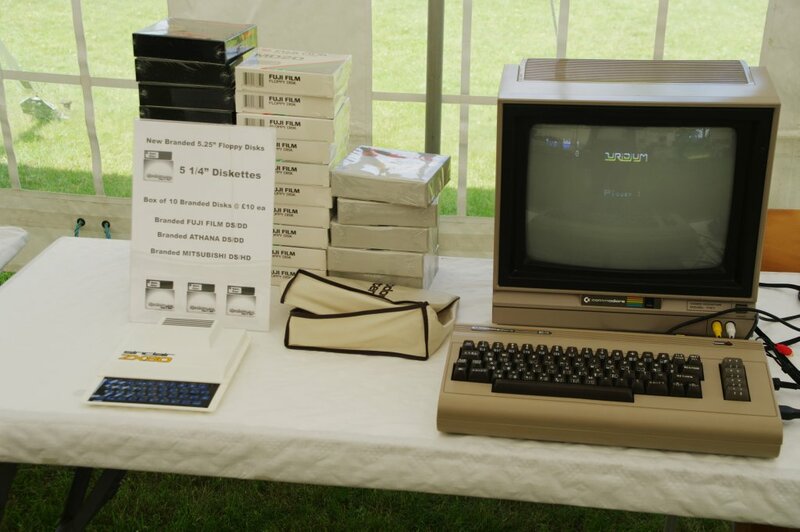 32: Even Commodore's attempt at a "son of Osborne" was there. Actually quite a nice design, even if completely out of touch with the reality of the market it was meant for. But I guess we shouldn't be surprised; after all, it was Commodore who launched it. 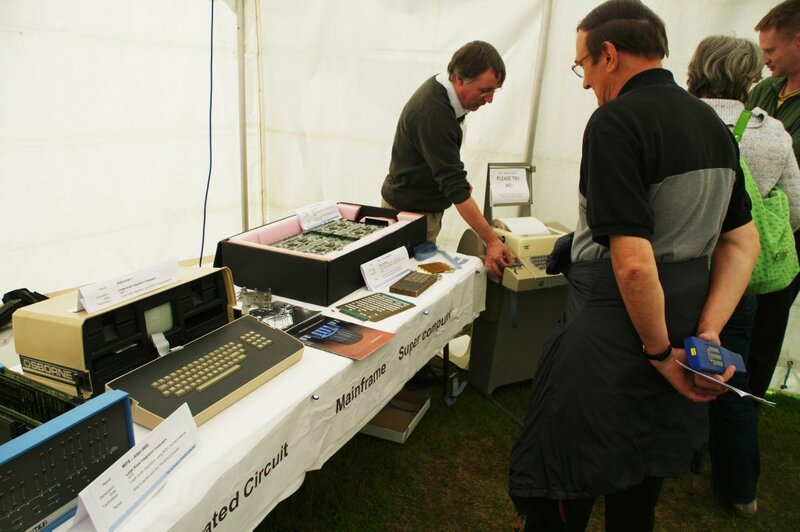 33: Two of the early 8-bit machines, a ZX80 and a C64. 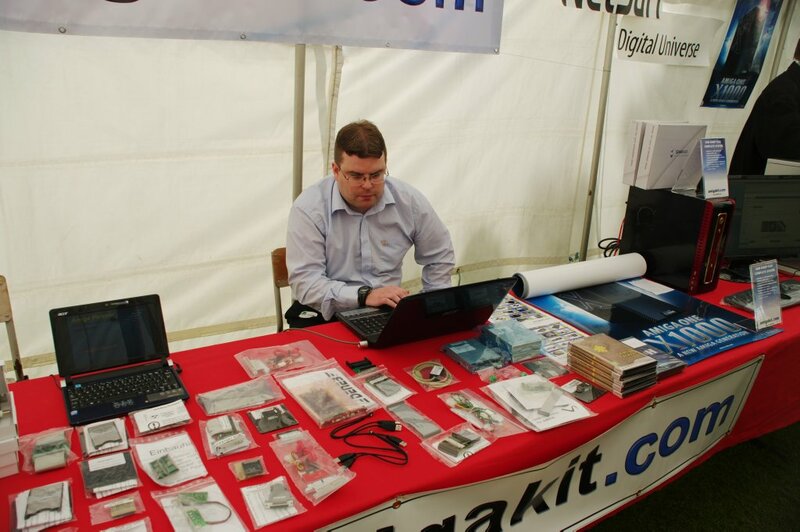 Myself, I had neither of those before my first Amiga, but instead a ZX Spectrum. Surprisingly, I didn't see one of those there. 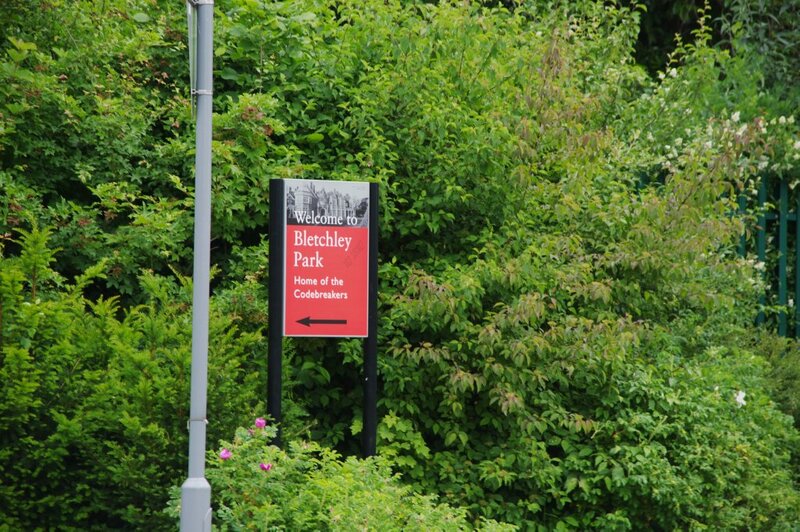 34: Just a shot down through the exhibition for an overview. 35: And another one showing also the other side. 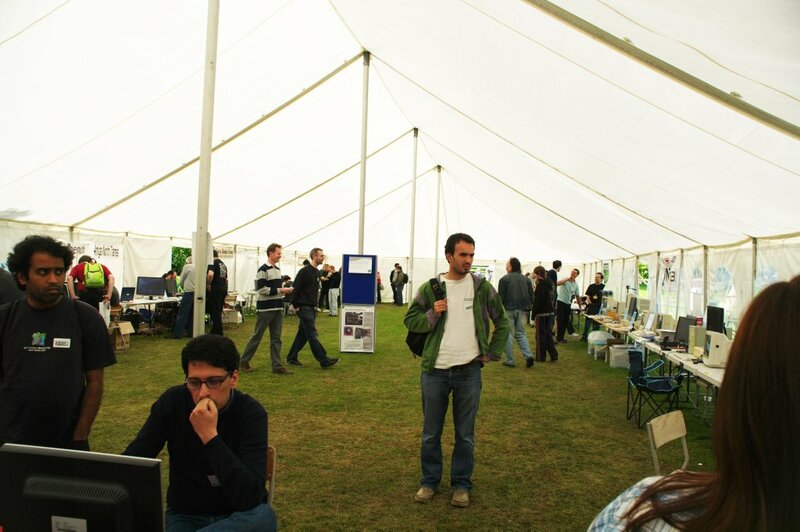 That's Max Tretene from ACube pondering in the foreground, by the way. 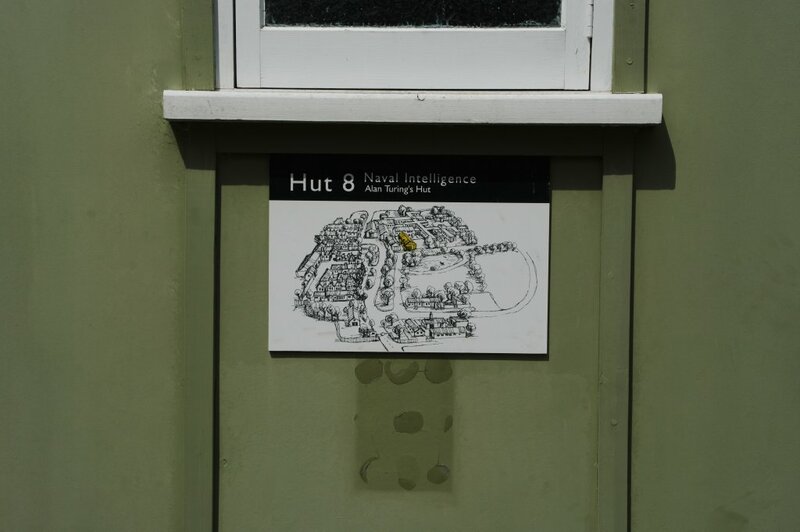 36: Although I didn't spend much time seeing the rest of Bletchley Park, I did have to pay my respects here. 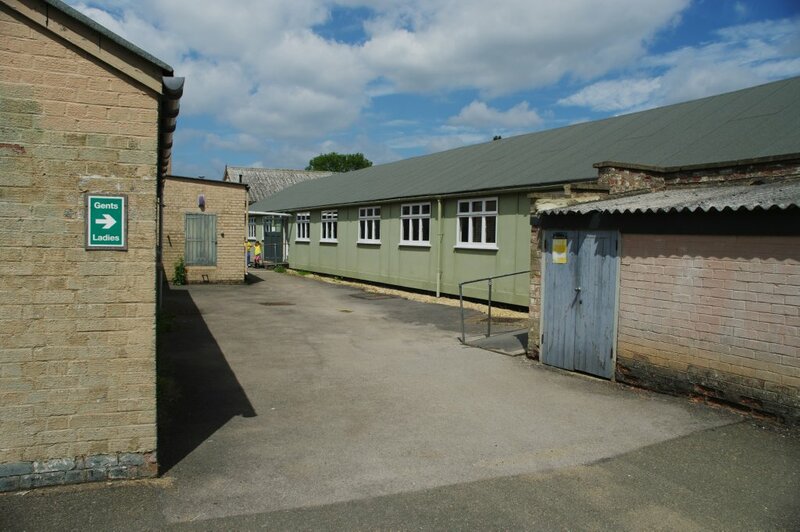 In this hut during WW2 worked a man who is one of the reasons we can all spend time tinkering with computers today. 37: However modest it may look, it earned its place in computing history way before anyone had even thought about the Amiga.